The Studio Designs Maxima II Drafting Chair features pneumatic height adjustment from 23" to 33" (58 cm to 84 cm), a contoured, padded seat and back that are adjustable, and a chrome teardrop footrest for comfort. The five-star nylon base features casters for mobility. 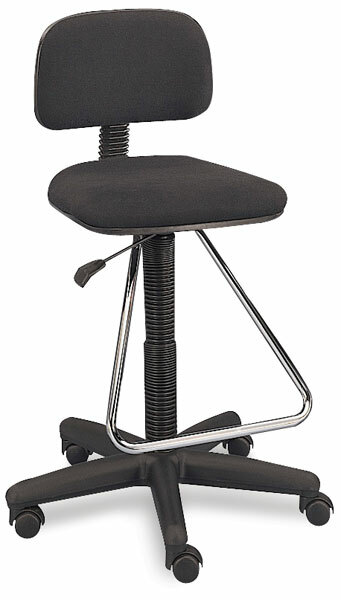 The Maxima II Drafting Chair includes a 10-year manufacturer's warranty. Weighs 24 lb (10.9 kg). ™ Studio Designs is a trademark.™ Maxima is a trademark.